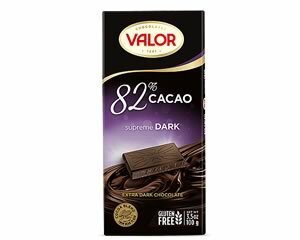 Valor 82% Supreme Dark Chocolate is an exquisite pure dark 82% cocoa chocolate of intense flavour and prolonged after taste,, as you would expect from a superior maker like Spain's Valor. This is pure quality for the ultimate adult pleasure that only Valor can deliver! Ingredients: Cocoa mass, fat-reduced cocoa powder, cocoa butter, sugar, emulsifier: soya lecithin, natural vanilla flavouring. Cocoa solids 82% minimum. 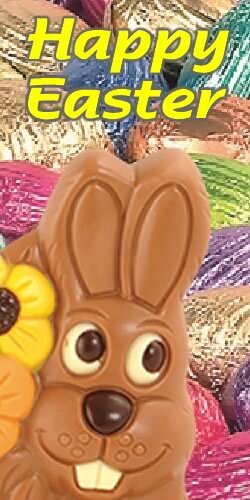 May contain traces of almonds, hazelnuts and milk.